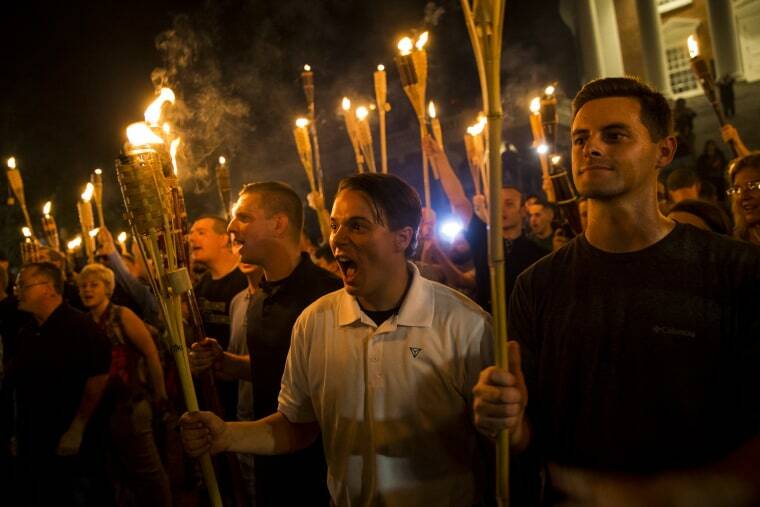 WASHINGTON — Congress has approved a resolution condemning white supremacists, neo-Nazis and other hate groups following a white-nationalist rally in Virginia that descended into deadly violence. The resolution recognizes Heather Heyer, who was killed Aug. 12, and 19 other people who were injured after a car allegedly driven by a neo-Nazi slammed into a crowd of demonstrators protesting the rally in Charlottesville. It describes Heyer's death as a "domestic terrorist attack" and acknowledges two Virginia state troopers who died in a helicopter crash while monitoring the protests. Six senators from both parties, led by both of Virginia's Democratic senators, Mark Warner and Tim Kaine, introduced the measure, which the Senate approved unanimously Monday night. The House approved the joint resolution Tuesday by unanimous consent. The measure, which now goes to President Donald Trump for his signature, urges the Trump administration to speak out against hate groups that espouse racism, extremism, xenophobia, anti-Semitism and white supremacy. It also calls on the Justice Department and other federal agencies to "use all resources available" to improve data collection on hate crimes and "address the growing prevalence of those hate groups in the United States." Trump has been criticized for his response following the violent white-nationalist rally in Charlottesville over the city's planned removal of a statue of Confederate Gen. Robert E. Lee. Trump asserted that there were good people on "both sides" of the rally and bemoaned rising efforts to remove Confederate monuments as an attack on America's "history and culture." The joint resolution was supported by a range of civil rights groups, including the Leadership Conference on Civil and Human Rights, the Anti-Defamation League and the NAACP Legal Defense Fund.